It didn’t take long before we were seated and began to attack the menu. There are too many choices at Bistro B – the menu is a little spiral bound plastic laminated book, with page after page of wonders, many with photographs of the food. It is intimidating. 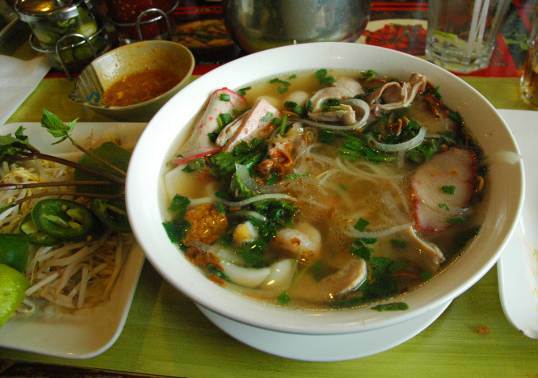 (you can download the main menu here – but be warned, it’s a seven megabyte PDF file) Lee recommended shutting my eyes, thumbing through the menu blindly, and then picking something at random. He said he did that a couple of times – once he had something good, but the second time the waiter had told him, “No, you don’t want to order that.” I tried it and came up with Chicken Curry… no, too tame. 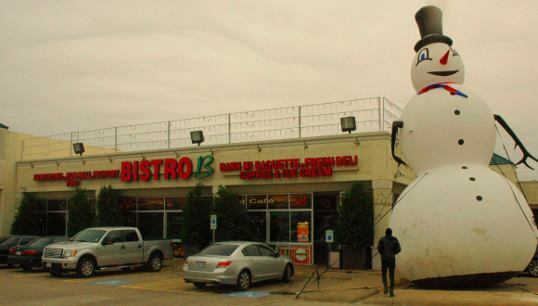 The outside of Bistro B - complete with a vaguely unnerving inflatable snowman. King Size Bowl? Yes Please! 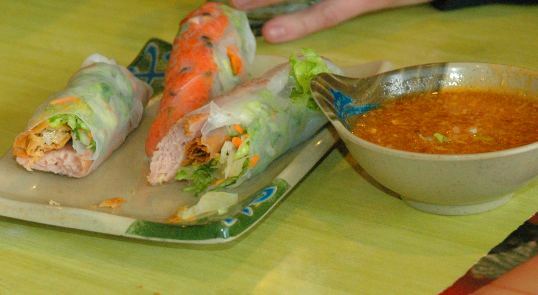 This entry was posted in Food and tagged asian, bistro-b, Christmas, Dallas, food, pho, restaurant, richardson, soup, vietnamese. Bookmark the permalink. 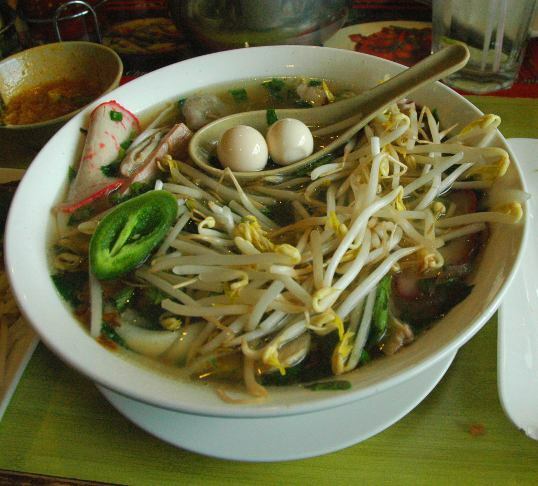 Philly has a large Asian community and some good Vietnamese and Korean resturants.